Meizu unveiled both the Pro 6 Plus and the Meizu M3X - a flagship and an upscale mid-ranger, both running the new Flyme 6.0. Bigger than both the Pro 6 and 6s, the Meizu Pro 6 Plus is like a Galaxy S7 "plus" that Samsung never gave us. 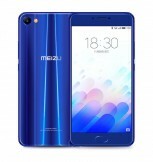 Meizu crafted a metal body and filled it with 5.7 inches of flat Super AMOLED goodness - complete with QHD resolution (1,440 x 2,560px) and Always On functionality. 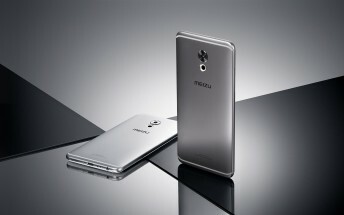 It aims for 430nits of brightness and is pressure sensitive (Meizu calls it 3D Press) to boot! All this requires plenty of power, so the phone uses the Exynos 8890 (same as S7 and S7 edge). There are two versions - 64GB and 128GB - which have different clockspeeds for the processor (2GHz and 2.3GHz respectively). Note that this is fast UFS 2.0 storage and in both cases you get 4GB of RAM. 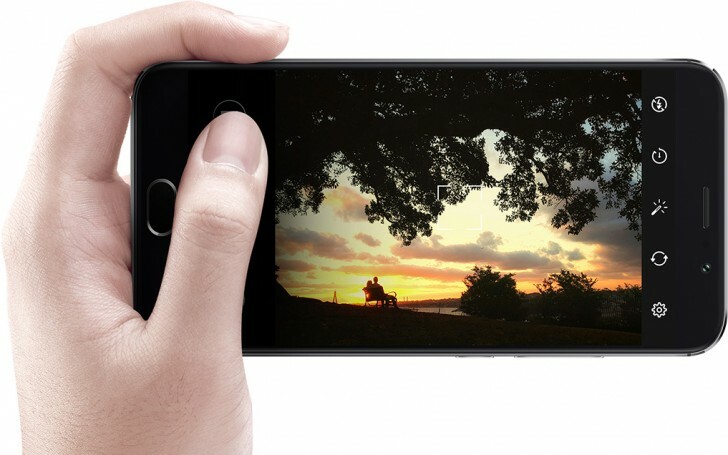 The Meizu Pro 6 Plus packs a 12MP camera with a Sony IMX386 sensor (1/2.9” big, 1.25µm pixels). It’s optically stabilized and has an f/2.0 aperture - not the brightest, but Meizu put a 10-LED ring flash (yes, ten LEDs, dual-tone too). The ring flash surrounds the Laser autofocus, which works up to 2m/6.5ft (other implementations we’ve seen are typically limited to 1.5m/6ft). The selfie camera features a 5MP sensor and an f/2.0 lens. 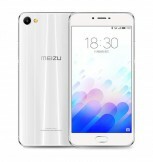 Meizu actually one-ups Samsung with its new mTouch fingerprint reader - it triggers in a blink of an eye (0.15s) and has a built-in heart rate monitor too. The Pro 6 Plus has a dedicated audio chip by ESS (ES9018K2M), if the name sounds familiar, it’s because LG tapped the same company for the V20 audio (ES9218). The phone measures 7.3mm thick and weighs 158g (pretty good for a 5.7-incher) and it houses a 3,400mAh battery. On the bottom of the phone is a USB Type-C port (v3.1 speed) with fast charging to the tune of 24W. 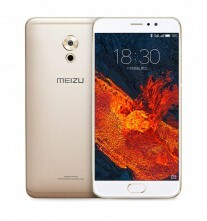 The Meizu Pro 6 Plus will be available in Champagne Gold, Deep Ash and Moonlight Silver. The 64GB version is priced CNY 3,000 while the 128GB one (remember it comes with higher clock speeds) is at CNY 3,300 (that’s ~$480/€450, not counting additional taxes and expenses). The Meizu M3X is slightly smaller, but features the same Sony IMX386 sensor for its 12MP camera. It’s not that much smaller with a 5.5” 1080p screen, which is brighter to boot - 500nits (1,500:1 contrast ratio) and by official numbers covers 85% of the front. 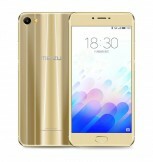 The M3X (no “Note” in the name) is powered by a MediaTek Helio P20 chipset with 3GB or 4GB of RAM (with 32GB or 64GB of storage). The phone also runs Flyme 6.0 and has a 3,200mAh battery with fast mCharge (18W, matching Quick Charge 3.0). It also has a fingerprint reader (sans the heart rate sensor) and a USB Type-C port. 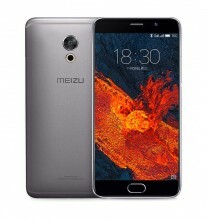 The Meizu M3X will be available in China in Phantom Blue, Streamer Gold, Pearl White and Obsidian Black. The 3GB/32GB model will cost CNY 1,700 and the 4GB/64GB one CNY 2,000 (~$290/€270, again not counting additional expenses). Note that in China, the phone is known as the Blue Charm X.